Sameera Sullivan, CEO of Lasting Connections and America’s leading matchmaker for the 40+ set will be a featured expert panelist at both events. This unique, interactive Town Hall-style event has been selling out all over the country. It features leading relationship experts and an excited, engaged audience to dish, discuss, dissect, and debate the current state of the dating world! You’ll get lots of dating and relationship insight and the singles mixer afterwards is always a blast! Dating is tough, and experienced matchmakers know how to do it… but you also want to hear from the people at this singles event who are also out there dating day-in and day-out! Here’s an awesome chance to discuss dating and love with not only your fellow singles but expert matchmakers as well. There’s going to be amazing information shared that you won’t hear anywhere else… you’re going to learn exactly what you need to know to meet the partner of your dreams. Dating is going to get a whole lot easier. Hope to see you at the Great Love Debate! P.S. 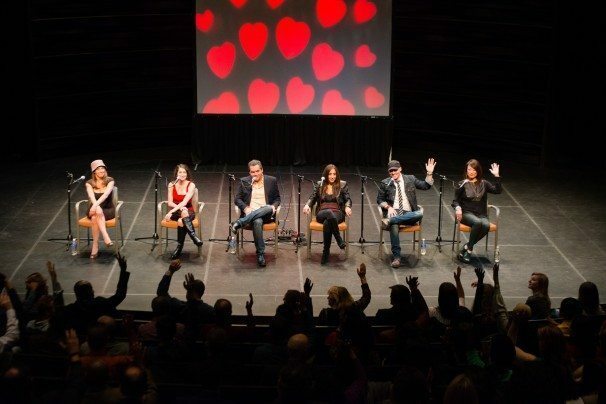 – Check out some photos from one of our previous Great Love Debates! Looks fun, doesn’t it? !